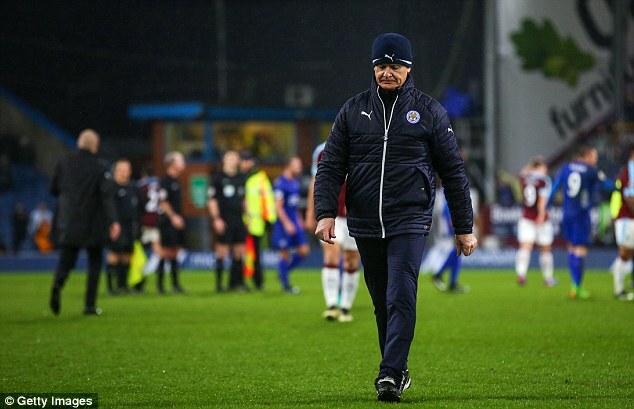 As frightening as Leicester’s form continues to be, the scariest development for the champions as this season turns into the final lap is the advancing pace of teams previously considered to be also-rans. 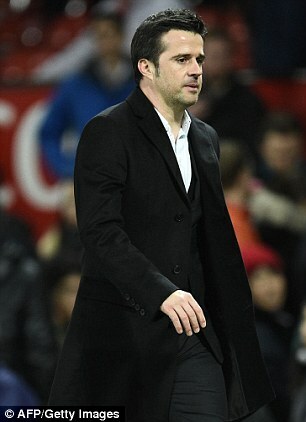 For long periods Swansea and Hull have looked ill-equipped to stay the course of a 38-game campaign but each decided to make a bold managerial change and have gained a shot of adrenaline. That is concerning on two fronts for Claudio Ranieri, whose Leicester side were 28/1 to win the league and 33/1 to get relegated at the start of the season. 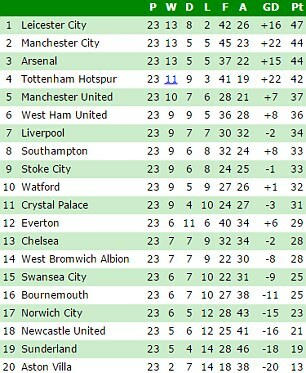 All of a sudden, the cushion between his team and the drop zone has been removed to leave a gap of only two points. For all Leicester’s struggles up to this point it appeared three teams would remain considerably worse. 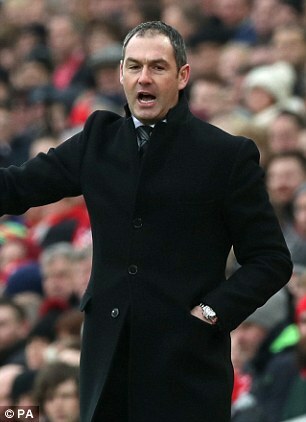 But as Paul Clement and Marco Silva make an impact on their debut reigns in Premier League dugouts that surety is slipping away. Secondly for Ranieri, could the decisive calls at Swansea and Hull plant a grain of thought in the mind of Leicester’s owner? It is close to blasphemous to suggest the Italian’s position is under threat given his saintly status for the miraculous work of last season but Vichai Srivaddhanaprabha has been impressing upon his manager the importance of 40 points and should Leicester dip under the dreaded dotted line those conversations will be inevitable. 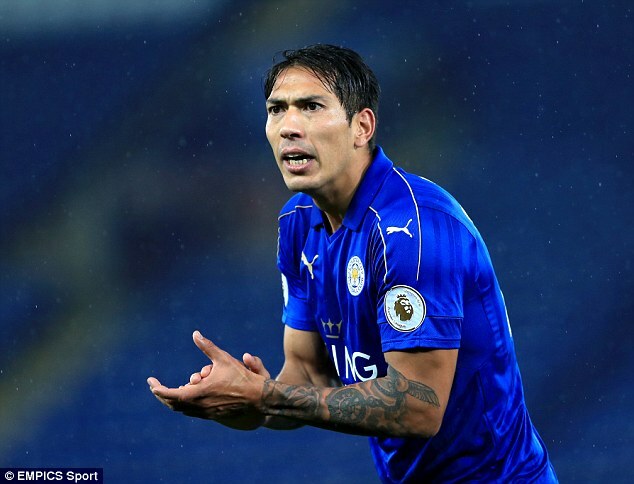 Leicester’s Thai owner has shown commendable patience at numerous stages of his tenure, initially when Nigel Pearson failed to gain promotion in 2012-13, then again as the club remained rooted to the foot of the Premier League for months in 2014-15. Steered by his Buddhist faith, Srivaddhanaprabha’s outlook is described by those who know him as philosophical. Yet he is also an extremely wealthy businessman who has made cut throat decisions before in his career, most notably in the wake of summer 2015’s infamous tour to Thailand. Already the face of a mural in Leicester, Ranieri should get a statue for his achievements and it can be argued that only winning the title has placed such scrutiny on the side now. 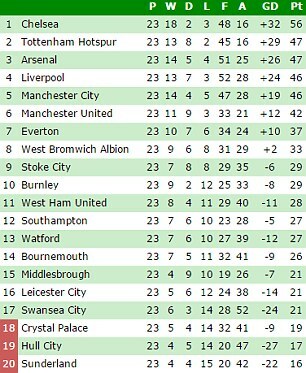 A position of 16th is towards the top end of the club’s historical level and before last season’s brilliant aberration would represent the rough mark of expectations. 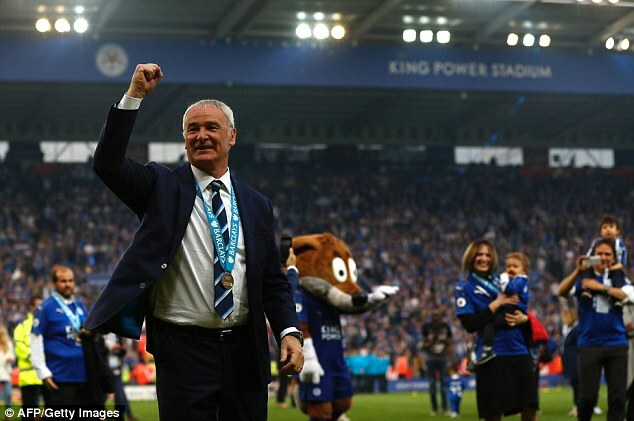 But in modern climes the contrary could also be true; that being a champion – the FIFA Coach of the Year no less – has saved Ranieri from the fate befallen by other managers circling the top-flight bear pit. To suggest that Swansea and Hull should form any kind of template for success is faintly ridiculous given both clubs’ resemblance to basket cases this season, but the manager’s role will always fall under the microscope when boards examine ways to ensure safety and the protection of that precious pot of Premier League cash. 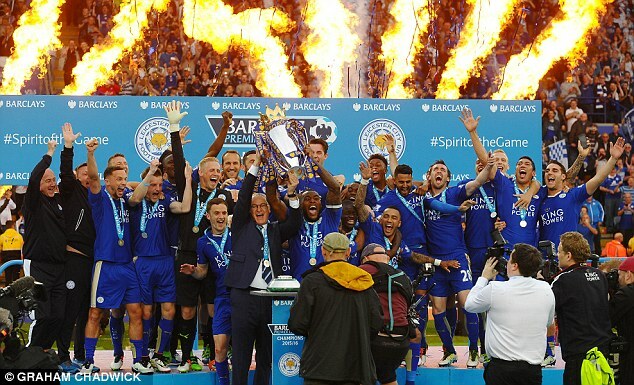 The crucial issue for Leicester’s hierarchy is whether Ranieri is the individual to reverse this current trend and if the players retain the faith that proved the inspirational glue so fantastically at this point last year. While the Argentine is not a central figure he has contributed significant moments and dismissing his as the lone voice of dissent is difficult. Sources indicate players have found tactics confusing as Ranieri struggles for a formula to flick the switch. His tinkering has seen a deviation from the 4-4-2 that served so well, to 4-3-3s, 3-4-3s, 3-5-2s, and diamond formations. Changes are not always telegraphed in advance. Sometimes counsel is sought from coaching staff but a different course taken. Ranieri has earned the right to do things his way but given the team’s position there is a desire among the squad to revert to the simplicity and personnel that wrought such success. 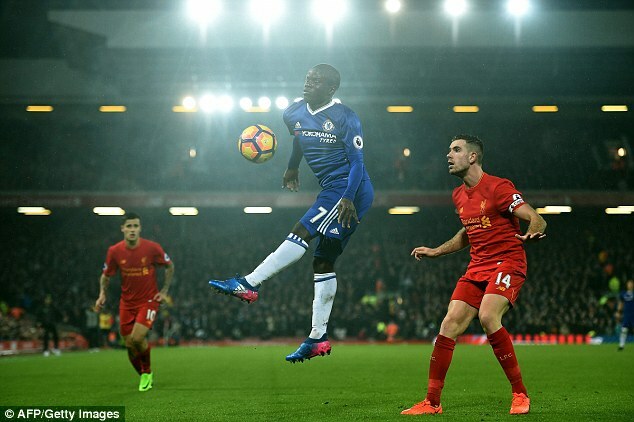 N’Golo Kante’s departure left a chasm but the belief in the camp is Leicester possess enough ability to at least be clear of relegation trouble using the trusted system, if not challenging for honours as they were with the little Frenchman. Ranieri has concurred in recent weeks but against Burnley caused surprise by placing Demarai Gray as a No 10. The expectation is that more changes will be forthcoming against Manchester United on Sunday, against the manager who endured the same problem a season before Ranieri. Jose Mourinho won the title with Chelsea but then fell spectacularly amid dressing-room divisions and was sacked with his team in the same position as that now occupied by Leicester. Gauging Leicester’s intentions from here is tricky but club sources stress confidence continues in a manager who brought Andrea Bocelli to the King Power Stadium on a glorious day in May. Major efforts were placed in trying to purchase a centre-back this winter window in support of the manager but prices placed on targets proved too prohibitive. 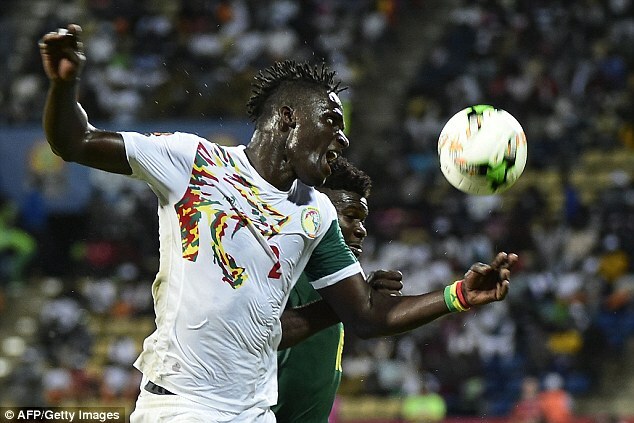 Anderlecht wanted £15million for Kara Mbodji, Liverpool demanded £20m for Mamadou Sakho, and Branislav Ivanovic, on £100,000 per week wages, was after a contract to 2019 aged 32. Molla Wague, 25, arrived on loan from Udinese to hardly send shivers of excitement around the fanbase but Ranieri and head of recruitment Eduardo Macia agreed on the signing, who will provide much-needed competition for Wes Morgan and Robert Huth. United present a huge challenge on Sunday, even for all their intermittent struggles to score. 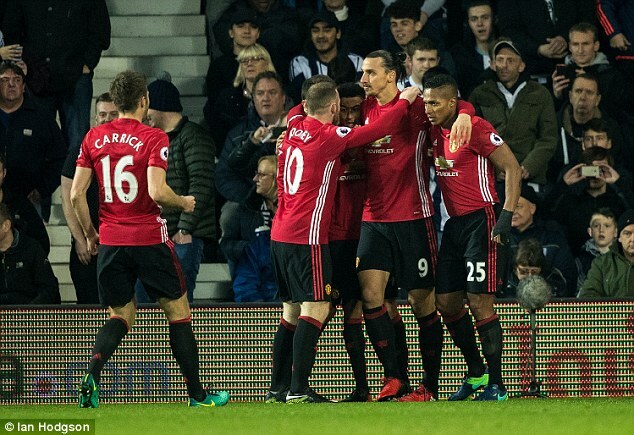 Mourinho’s team won 4-0 at Old Trafford and were Leicester to lose again the focus would become intense. A trip to Swansea the following weekend has taken on monumental importance but there is an FA Cup replay against Derby in between. Afterwards comes the Champions League tie at Sevilla and that is to be savoured but where once Ranieri prioritised Leicester’s maiden adventure in Europe’s elite competition the agenda had since flipped. Subsequent home games against Liverpool and Hull have become more important because Crystal Palace have finally discovered how to win under Sam Allardyce and even beleaguered Sunderland picked up a point against Tottenham in midweek. 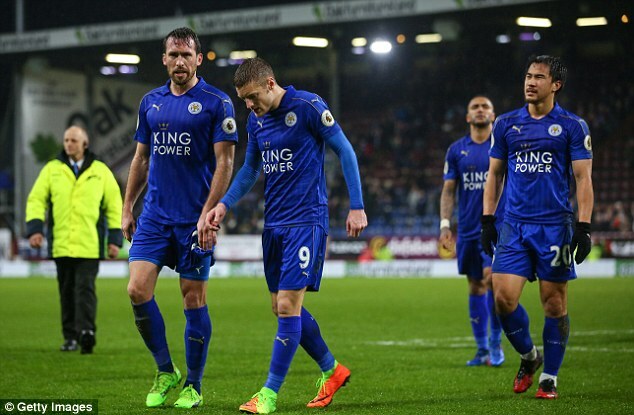 It is those results that have Leicester once again looking over their shoulders as we enter February, except rather than being three points ahead at the top, they are in danger of being overtaken at the bottom.